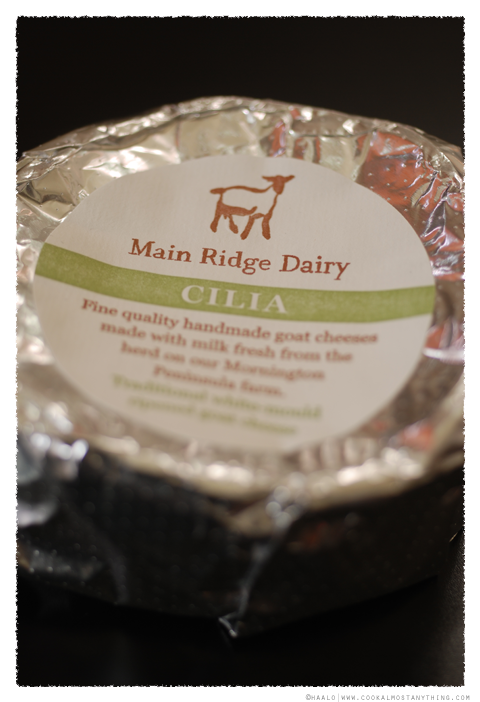 Cilia is a Camembert-style goat cheese and to the touch, you get the feel that this is a cheese that has a gooey potential. Unfortunately a much more pungent suprise awaits you unwrap it. 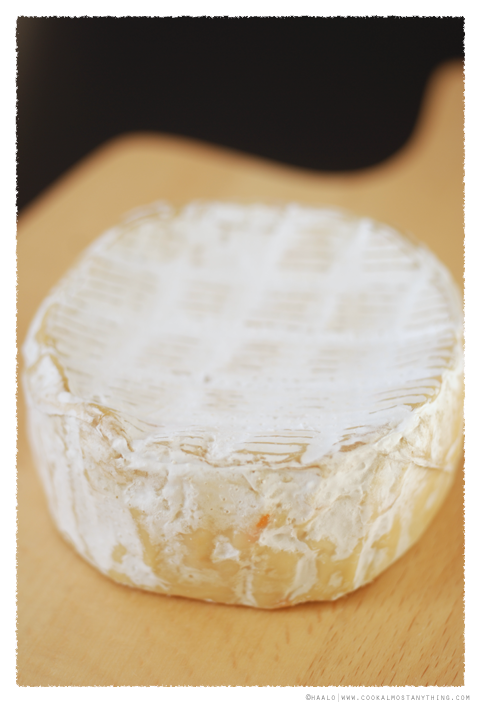 This is a cheese that will confront - the most delicate way to describe the aroma is the term "barnyard". This does not have mushroom aromas has stated on the packaging, it is much more intense and much less appealing. 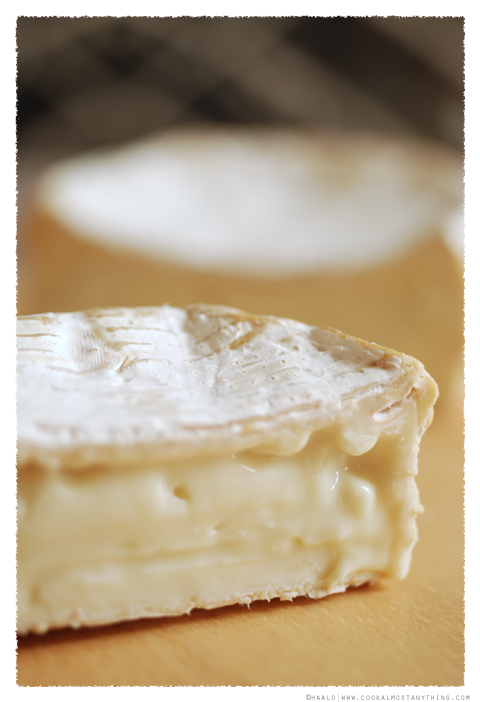 As much as I love the pungent aroma of washed rind cheese, this is something totally different. 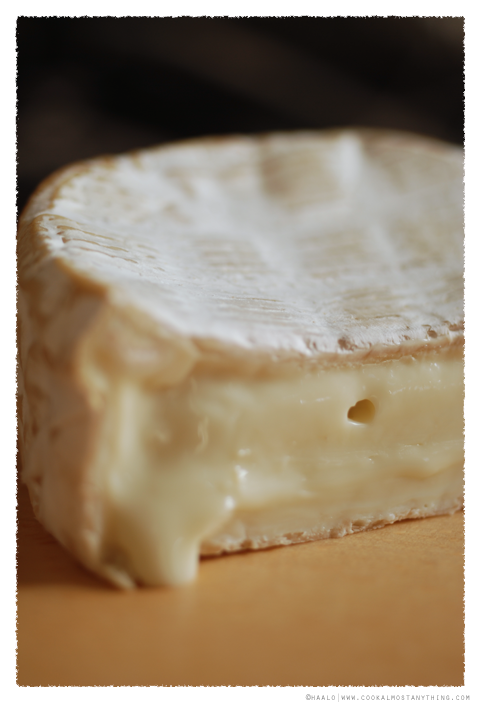 To look at, it is a beautiful cheese and it has those lovely gooey qualities that I love but the smell is really hard to deal with. Taking these close-ups was especially trying, even more off-putting was tasting it. As Paalo held a piece in his fingers, he looked at me and said "this is really hard" but taste he did. Unfortunately some of those barnyard aromas have flowed through into the cheese. It's not particularly pleasant, a bit bitter and a bit salty. It is a shame because it does look to be a lovely cheese - I don't know if this is an outliner and I've bought one that isn't right or if this is how they want it to taste. Open for tastings, sales and platters Friday to Monday and public holidays from 11 - 4. Dairy tours are run most Saturdays at 3.30, with additional tours run during school holidays. Bookings are essential. Additional tours can be arranged for groups of 10. Tour costs are adult $6 and child over 3 years $3. Oh that's a pity that the cheese didn't turn out like you thought it would. It looks really amazing in the photos, but just goes to show, you can't judge a book by its cover at all! Ohhh thats surprising i have been to the Dairy several times and have purchased the Cilia and while the taste varied the flavour was great! Shani - it isn't surprising if you read the addendum. The cheese was faulty. I will reserve my opinion of the cheese until I try one that isn't bad.